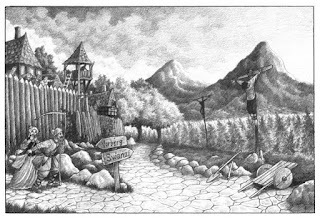 This is the final part of my ZWEIHÄNDER core book review. Similar to most other RPG rulebooks ZWEIHÄNDER leaves the Game Master's stuff to the back of the book, besides the appendices. preparing for the next session. This is a thick chapter, on par with professions. I will go through step by step all the sections, so I can point out a serious issue with not only this part, but the whole rulebook. The chapter starts by explaining the tropes of grim and perilous campaigns, and what harrowing tasks a GM must face to make it work. It's a dense section, but useful for those new to the genre. The basics are followed by combat. It expands the material of Chapter 8 with some more details, and also contains the most important tables used during battle. The Injuries tables are needed when someone receives an injury, obviously. Each injury level has its own table with twelve results, including such cool sounding effects like Hyperextended Elbow, Fractured Larynx, Vitreous Hemorrhage. Unfortunately they are not ordered by locations, which makes using them with the hit location optional rules presented later a bit bumby. The Slain! tables are here to give you the gory details when someone is killed. There are four of them, one per weapon category (bladed, crushing, gunpowder, missile) containing twelve flavorful results. Barely more than a page covers encounter building and narrative considerations, then the book gets into Combat Options for those who want to add some more complexity to their game: alternative weapon damage, multiple attacks, piecemeal armor, hit locations, called shots, alternative encumberance, morale checks... Stuff that makes WFRP fans drool. Following combat we get a sub-system for chase scenes. It is based on the contest rules explained in Chapter 1. While it isn't as complicated as it seems, it is still more detailed than required. I have yet to see someone who actually uses similarly detailed chase rules instead of a few skills rolls. Overland exploration is far more useful with its seasonal weather tables, aetheric phenomena, and general information about travel. It's followed by another detailed sub-system, this time for wilderness exploration. It involves breaking the journey into stretches, the players selecting roles á la The One Ring RPG, then rolling to succeed in their roles, while the GM rolls for random encounter (music to my ears). Like chasing, this isn't a tough nut to crack, but it's presented in a tedious and lengthy way. Next is the explanation of reward points, which is short and simple. 100 RPs are recomended for a 4-6 hours long session, with bonus for different marks. Progression is slow by default, especially for higher tiers where advances cost 200 or 300 RP instead of 100. A new resource is also introduced for PCs, called Reputation. It's reminiscent of Fate Points, but instead of using it to avoid death the player can burn it call upon his character's connections, and ask for a favor. The bigger the requistion's level, the more time it will take, and more Reputation it will require. Players may also pool their Reputation for a common goal if they all agree. The book moves to breaking objects. I haven't seen this in a WFRP rulebook since the 1st edition's core book, so it was a pleasant surprise. It's similar to the damage system: objects have a Hardness Condition Track instead of Damage Condition Track, and Hardness Threshold instead of Damage Threshold. Plain and simple, just like the rules for repairing broken items. The next topic is far more interesting: traps! The book offers seven common examples with rules for their construction. Practical and to the point. Just as the juicy stuff from combat was put in this chapter, so was magick. The price casters have to pay for their power, and the unpredictable nature of magick are the cornerstones of low fantasy. The Chaos Manifestations of wizardly mistakes, the Malignancies that torture black mages, and the Divinie Punishment for priests are all here. The charts are excellent, but strangely it's not the arcane magick I found most amusing, but the divine. The authors overdid themselves and wrote up minor, middling, and major Divine Punishment results for each god! The only way it would have been better if they wrote some more examples for atonements. This section ends with relics and artifacts. There are only four of them listed, but they are all intriguing enough to be worth building a whole adventures around them. My favorite is the trebuchet called Whoreson. No, not because of its name. Or, not only beacause of that... In case someone missed more common magick items, remember that in runesmithing, talismans, and potions were already covered in chapter 10. NPCs don't get much love: there is a random chart for their alignment and motivation, and a lengthy explanation of what they mean. On the other hand we get another mini-game, this time for social intrigue. This one is now really as complicated as it seems, with lots of steps and modifiers. Even the author recommends using these to the really important interactions, but I find it and overkill for that too. The only good idea I will keep from here is writing down for your NPCs what kind of social skills are favorable or unfavorable from them, but the rest seems to only stand in the way of roleplaying and make social interaction cumbersome. There is a section about madness. The title is a bit misleading though, it's not about insanity, but stress, fear, and terror. There are some well written lists for each one fo them, and simple rules for handling them. Corruption gets a similar treatment, we get lists about the corrupting influence of the various offenses, and some details about Order and Chaos levels. If you remember the second part of the review these have been already explained in great detail in the character creation chapter. The information provided here is redundant to some degree. Instead of repeating earlier stuff maybe the rules should have been moved here instead of chapter 3. Fate Points are haphazardly mentioned, then we reach Disorders. There are three categories: Addictions, Insanities, Mutations. These are the "rewards" one gets when he gives in to Corruption too often. Interestingly, they aren't one-sided raw punishments. Besides their negative effect they all have a cool little bonus that can be invoked, at the cost of earning more Corruption. Thus moving towards Chaos has its rewards too, but using them will throw the character into a downward spiral and shorten his path to damnation. Probably the high point of this chapter: great flavor, great mechanics. Of course we are still not at the end. There are optional rules for character advancement, including staying at the same career for higher tier, starting at a higher tier, and using character stables like many do in their OSR campaigns. This should have been put right after the reward section. pest exterminators other than rat catchers! The Slaves to Chaos section adds more races for those who want to run a campaign on the other side. There are rules for playing aztlan (slann/lizardmen), grendel (beastmen), orx (or orxes? 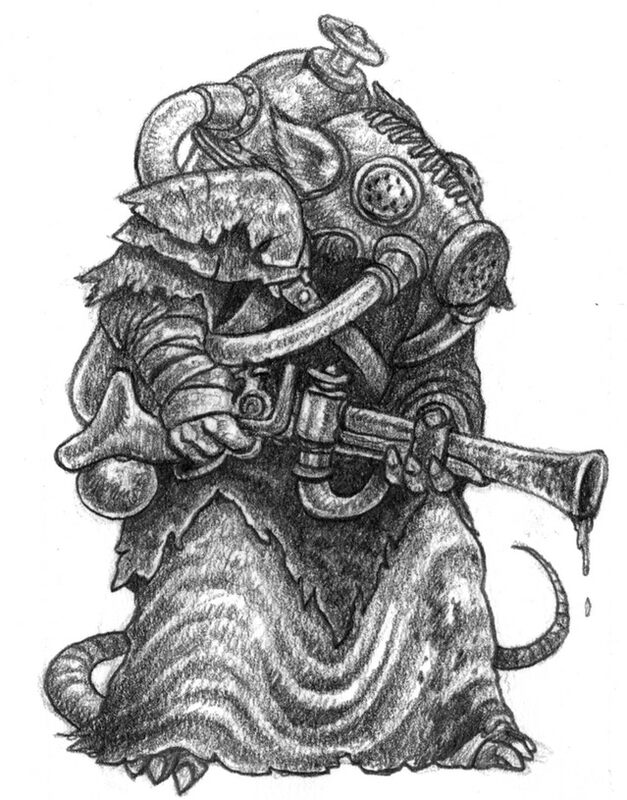 ), and skrzzak (skaven). Cool stuff, and useful for building NPCs too, but I wonder why weren't these included in the Bestiary instead, right after the stats for the corresponding creatures. 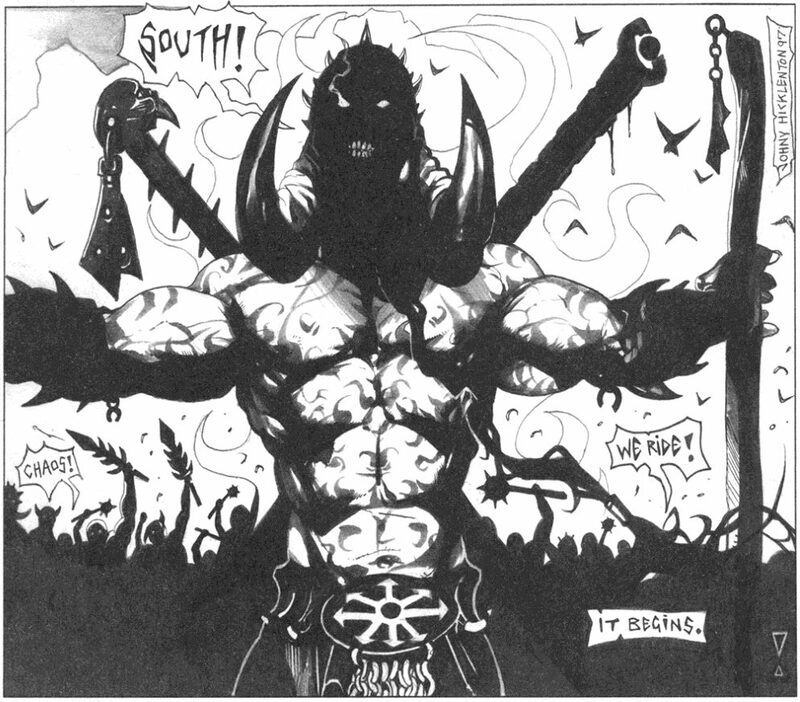 Forming a frame to the whole chapter, the last part returns to talking about what makes grimdark roleplaying click. Racial issues, rulerships, daemons are the topic this time, culuminating in actual campaign seeds. While their core themes are different, their tone is very similar. They all felt too mundane for me, none of them had any exceptional qualities that would have made me pick one over the Old World. And that's it. All in all this chapter is a mixed bag. Good and straightforward explanation of commonly used elements are balanced with dull and overcomplicated rules about stuff most will ignore. The latter should have been streamlined and simplified, because their involved nature will alienate even those who are looking for such mechanics, essentially turning these into deadweight no one will ever use. 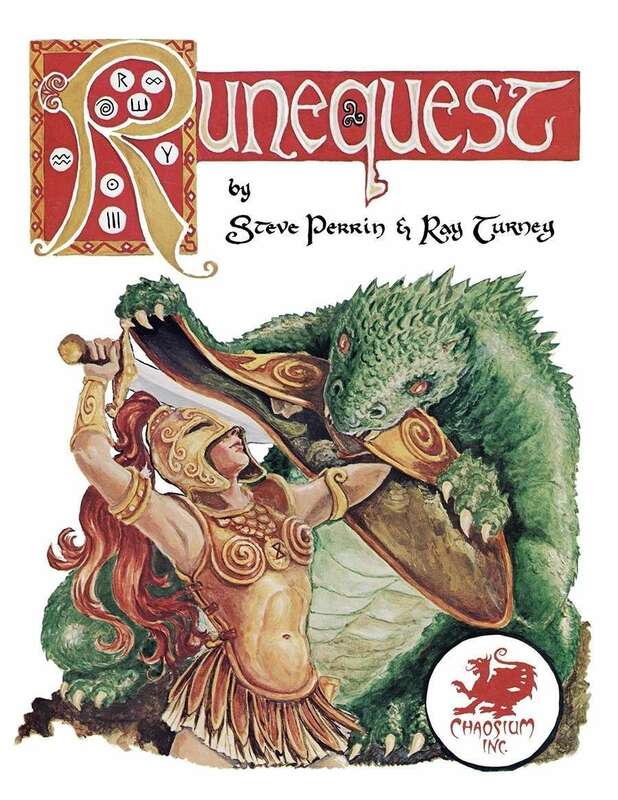 While the chapter covers a lot of ground, it does lack something that way too many RPGs ignore, and surprisingly, WFRP3e did well. There is no guide about how to build an adventure. 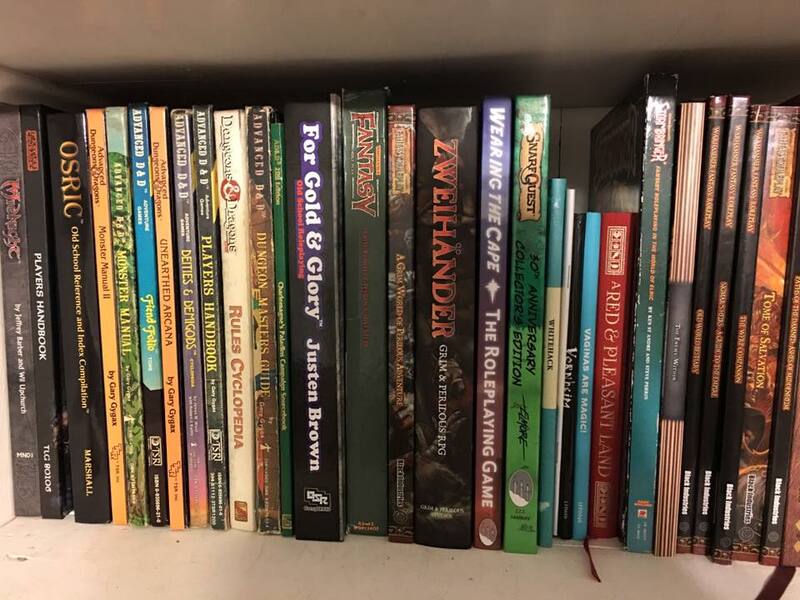 WFRP3e offered some solid advice about how to start with an idea, turn it into scenes, connect them into an adventure, and develop the whole thing into a campaign. It might not have been a comprehensive guide for every playstyle (eg. it wasn't good for sandbox campaigns), but it was an exceptionally helpful tutorial that could give the kickstart many beginning GMs need. Most rulebooks lack this kind of handholding. Time to talk about my gripe I mentioned at the beginning. The whole book is a chaotic mess. Information about the same topic is spread out all over the book, and the order in which matters are presented feels random. Why were the combat tables not included in the Combat chapter? It's not a secret that should be hidden from players, plus it's in the same book so they can look it up anyhow. Who thought it's a good idea to interrupt the Character Creation with explanation of how Alignments work during play? It's totally unrelated to the process. Why isn't the optional advancement after the explanation of rewards? I would start looking for it there, not between disorders and monstrous player characters. And I could go on. Bookmarks and handouts will be needed, otherwise browsing the book during sessions will be a headache. Even fans of Malal get something to rejoice over! 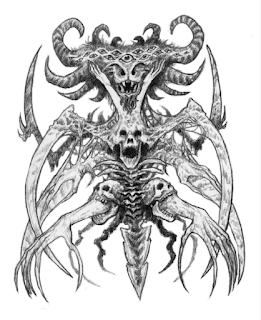 The bestiary offers an exhaustive selection of monsters, including most of the iconic creatures from WFRP. They did get new names, and often a small twist that can be easily ignored if you want to stay faithful for the original game. We have demons, greenskins, skavens, and even some rare, or downright forgotten blasts from the past here! Zoatars are the good old zoats whom only a handful people have ever utilized, but this time with fur. Fomorians are the fimirs everyone loved, now turned into crustaceans. Aztlan were already mentioned above, it's an umbrella term collecting both old slanns and the newer lizardmen. And the howlbear is cute. I chuckled when I saw it, it's one of my all-time favorite D&D monsters. The stat blocks themselves are short, but the details following them are long, because they include the description of every ability a creature has. While it doesn't look nice, it has a huge boon: less page flipping during combat. Maybe cutting out the less meaningful abilities would have helped a bit, but the situation isn't bad at all. 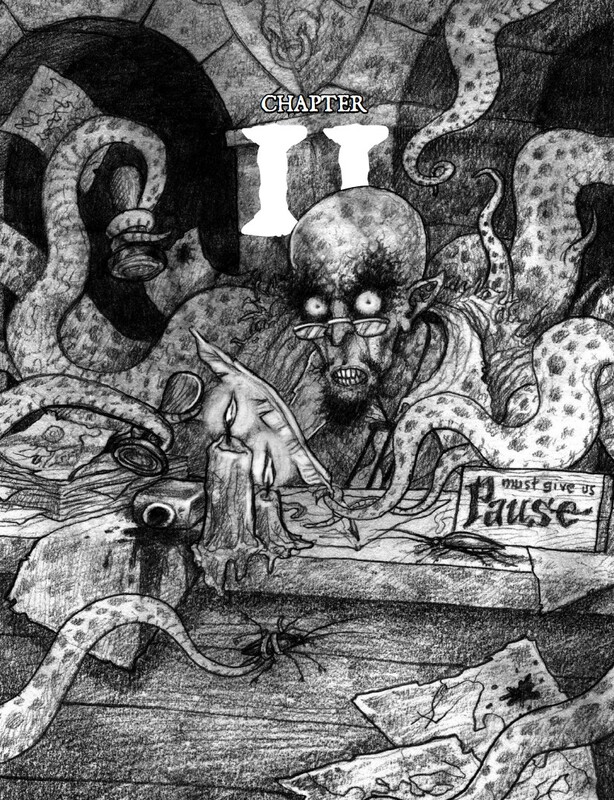 The chapter also has rules about turning creatures into underlings, bosses, and magicians. The magician part even has placeholder spell lists for more lores, so nothing can stand in your way using slann mage priests, skaven grey seers, or chaos sorcerers in your game. The bestiary ends with something surprisingly D&D-ish, and very welcome: loot tables! This part answers trivial questions like what does a peasant's, burger's, or noble's coin purse hold, offers an exceptionally colorful treasure table, and even has the prices for uncut gemstones and fineries. Well done! Overall I liked the bestiary chapter a lot, except for some of the name choices. I found several annoying for a variety of reasons. Orc isn't a copyright protected name, so seeing them written as orx is baffling. I can understand why skavens were renamed, but skrzzak is hard to pronounce and figure out at first glance what holds. 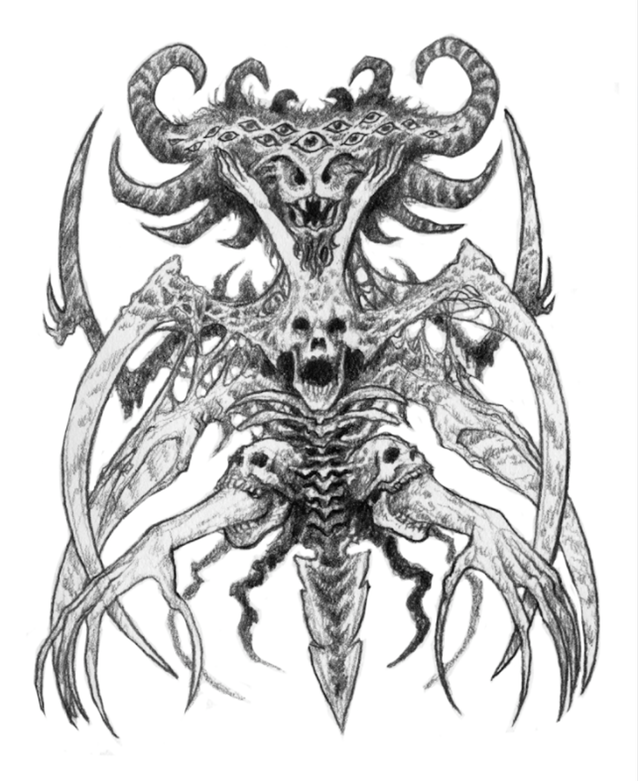 It took me some time to figure out what Adversary Demon was originally. Generic names (eg. ratlings) would have been better. A Bitter Harvest is a rural adventure inspired by the tragic events of the Baltic crusades. It tries to apply everything from Chapter 11, and uses the Goth Moran Divided campaign seed - not that it matters. The story begins with an orc horde invading the area of Vorberg. The leadership parleys with the orcs and offers their women to survive. Maximilain thus lives to see another day, while his wife Johanna, and daughter Katharina become orcish slaves. In the coming years Johanna ends up as the concubine of the orc boss, learns herbalism and magick, then kills his new husband. As the new leader of the warband she returns to Vorberg to take vengeance upon Maximilian, who is going to be married soon. The locals don't know anything about the coming storm, though. Even the party believes their whole job will be just finding out what happened to the lost bride token. Of course the above is just a very short summary of the adventure - there is a lot more going on, and there are dozens of NPCs involved. They are generally well rounded personas, although there are some details that won't ever surface, or add anything to the adventure itself. The wordiness is true about the rest of the adventure too, but that's not my biggest issue with it. The adventure is very linear, and has scenes after another where the PCs take a passive role to just watch events unfold. It isn't hard to fix this, but it will require some extra work on the GM's side. Still, the adventure itself is cool, with interesting themes. I do believe though that it should have been left on the internet as downloadable content. I don't like carrying around stuff that I use only once (if ever), and the page count was a critical issue during development. The appendix containcs chase complications, random wilderness encounters, taints of chaos, and a bunch of ugly tracking sheets. Ugliest of them was the character sheet that stinks of Microsoft Word. Fortunately they made some changes to it. It's still ugly, but eats far less ink. I also wonder if all these cool tables were put here, then why on Earth were the frequently needed ones left in the middle of the rulebook. Writing a thorough review of ZWEIHÄNDER was exhausting, which is exactly like the book itself. It felt much longer than it is, thanks to all the long-winded explanations and redundant information. Even the entertaining parts were overshadowed by these. A stricter editor and some streamlining could have helped in making the book more readable. Tl;dr: While ZWEIHÄNDER might be amateurish in presentation, it offers a solid ruleset, and an amazing amount of content. You can buy it HERE. Part III: Bring Out Your Dead! Not only is the layout chaotic, but the bookmarking on the PDF is screwed up as well. A system this solid (or at least that seems so without a playtest) deserves a second edition with much, much tighter editing. God, the typos! They're still in just about every paragraph. Great book though! It a has a certain old-school feel though. Remember the WFRP1e core book? The careers were spread out between three chapters, and even now I'm unsure wether the WS bonus of the elves was intended or was meant to be BS. No, I have no previous experience with WH except for of course seeing a million ads, books, figures and box sets in every game store. That said, I hope Daniel and everyone understand that I'm loving the experience, and, having done character generation with one of my oldest friends, both of us with 35 years experience in gaming, we both thought it was great. No playing yet, but soon. Great review, and glad to see it come to its conclusion. It's not an easy book to digest, and it unabashedly cries "heartbreaker" throughout. I'm a little wordy, but the design choices resonate strongly with me only because I have been using them in some form or another over the past 6 years. Perhaps we will see about addressing some of the layout issues in another print run. I can also imagine we will end up hacking up some of the mechanics into digestible chunks in our next supplement. And yes, hack away! It's all released under Creative Commons license, and we are very interested to see how others houserule out the stuff they don't want to use/create new systems. No less, thank you for taking the time to pick apart the weighty tome with a fine-toothed comb. We will get your final review up on our website tomorrow! Great review, you have certainly made me more determined to pick up a copy. I unfortunately missed the Kickstarter and was made aware by an actual play by RPPR. I still have my original WFRP core book (held together at the spine with electrical tape now) with all the corrections published in White Dwarf carefully added in pencil. Happy days and I look forward to diving back in with ZWEIHÄNDER.